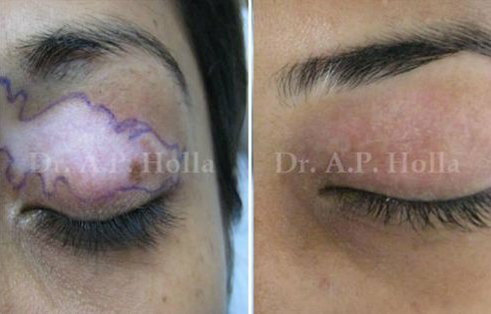 Excision: Depigmented areas removed by excision with primary closure, and covering with thin Thiersch's graft. 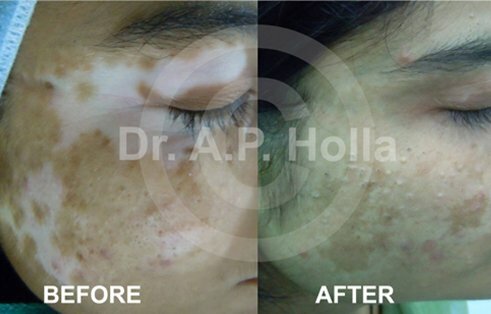 Therapeutic dermabrasion, laser ablation, cryosurgery (liquid nitrogen spraying), needling, and local application of phenol or trichloroacetic acid. 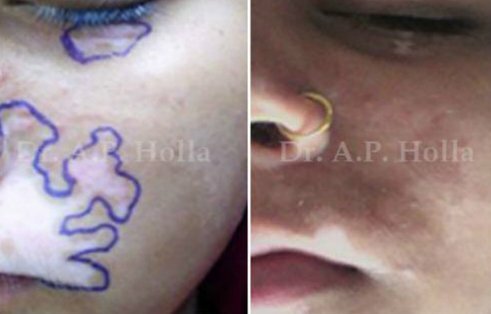 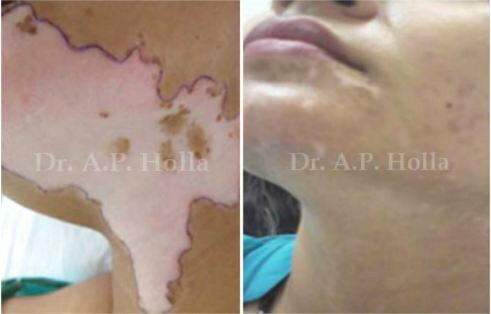 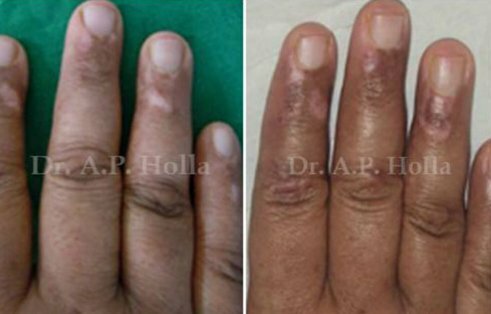 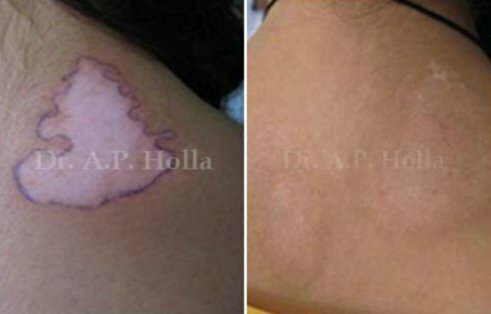 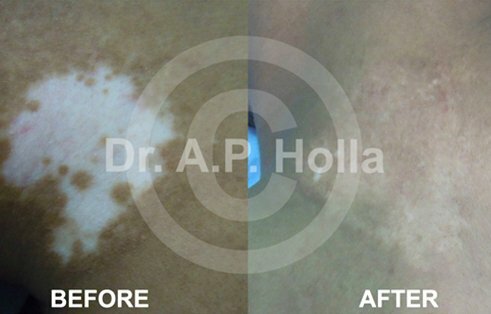 These types of therapeutica wounding excite the melanocytes from the periphery and the black hair follicles, there by multiply, migrate and re-pigment the lesion. 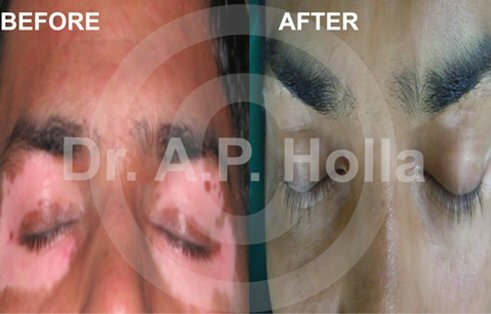 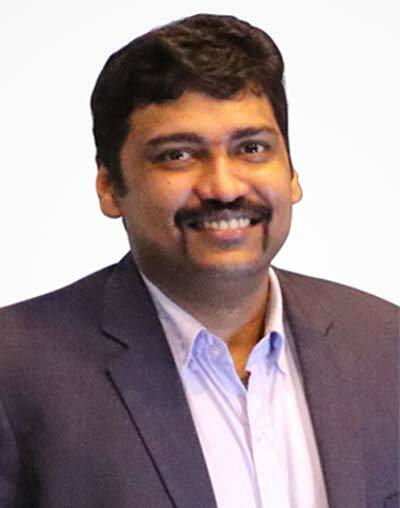 Tissue Grafting: Like punch grafting, split skin grafting and suction blister grafting. 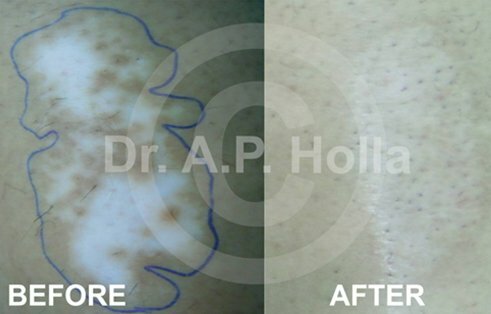 Psychological assessment of patient has to be done before the surgery for patients who take advice for the procedure.